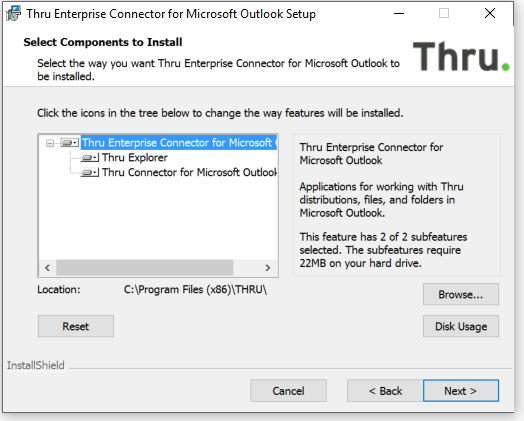 Follow the instructions below to install the Thru Add-In (Connector) for Outlook. Locate and run the setup.exe file. *The setup.exe file is the ThruOutlook file you downloaded from Thru’s website. 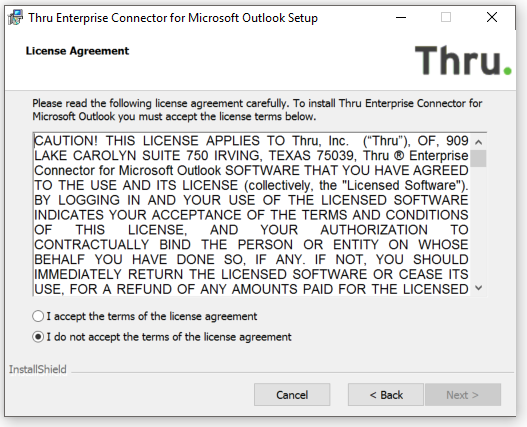 If you have not yet downloaded the Thru Add-In for Outook file, GO HERE. 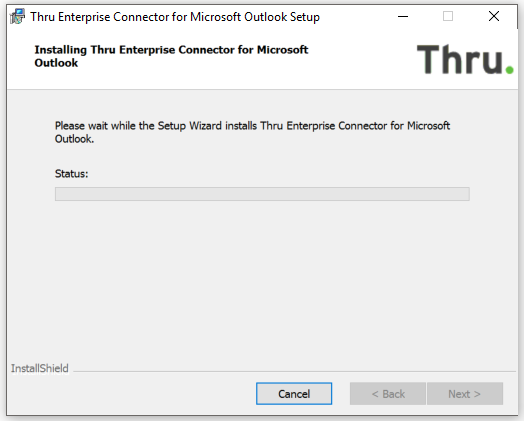 *The Setup Wizard will change from Install, Upgrade or Repair depending on if you are installing for the first time, upgrading from a previous version, or simply repairing it to address and previous installation issues. Choose the appropriate mode and click Next. 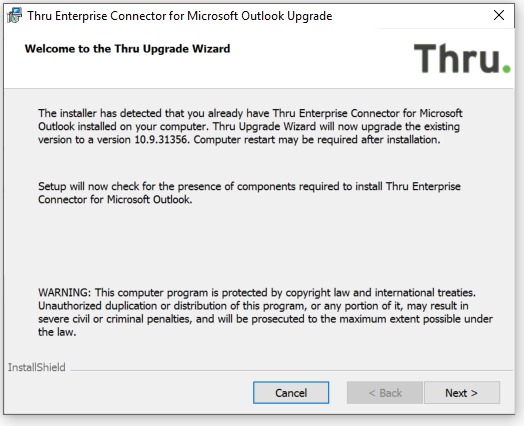 The Thru installer will verify that your system can run the add-in and that you have all the prerequisites for the install. You should see three green check marks as shown below if all necessary components are available. 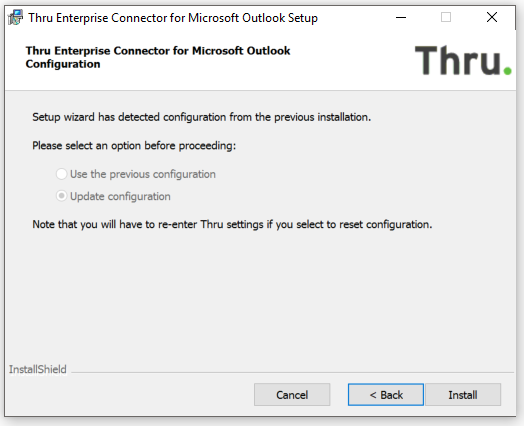 Click Next and the Setup Wizard will then install Thru Add-In for Outlook. 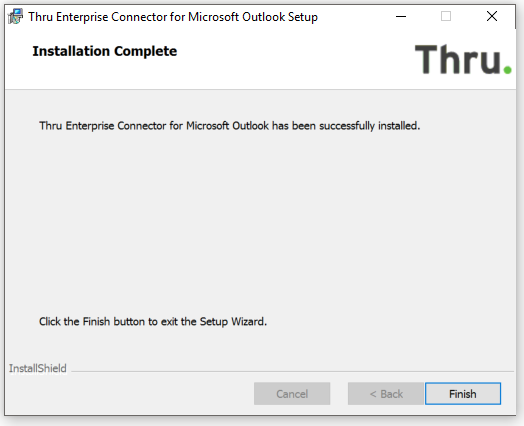 Once the installer is finished installing the add-in, it will give you the following screen stating that the software has been successfully installed. Click Finish to finalize the installation. 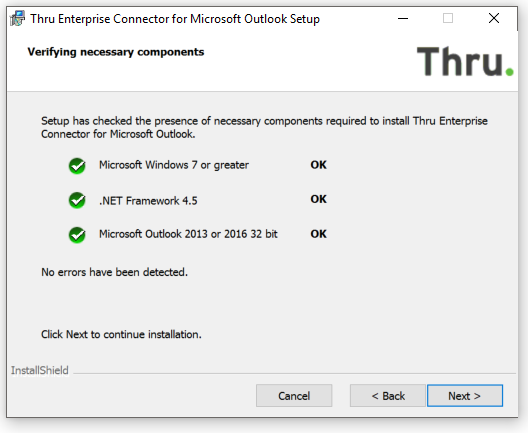 You will need to restart your computer prior to starting Outlook again so that the installation can be properly finished.